Happy International Literacy Day Y’all! 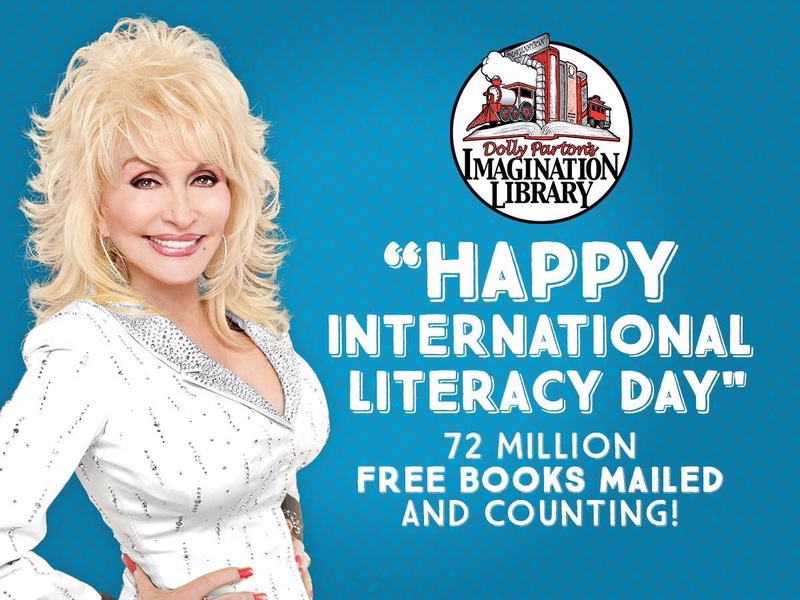 Since 1995 have Dolly’s Imagination Library sent out over 72 millions free books to children between 0-5, in USA, Canada, UK and Australia. This entry was posted in News, Uncategorized and tagged Australia, Books, Canada, Dolly Parton, Dolly's Imagination Library, Free, Happy International Literacy Day, over 72 Millions, Social Media, UK, USA by dollyfan. Bookmark the permalink.